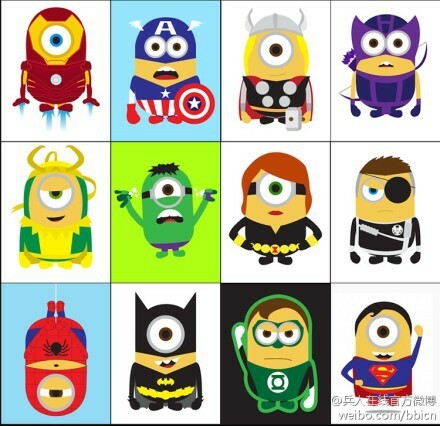 Avenger Minions. . Wallpaper and background images in the 어벤저스 club tagged: the avengers minions despicable me hulk thor iron man spiderman. This 어벤저스 photo contains 슬롯, 하나의 슬롯 머신, 1 명의 무장 한 적기, 무장된 한 산적, 슬롯 머신, 동전 기계, 코인 머신, and 스테인드 글라스 창. There might also be 보유 셀, 홀딩 셀, and 셀을 잡고.